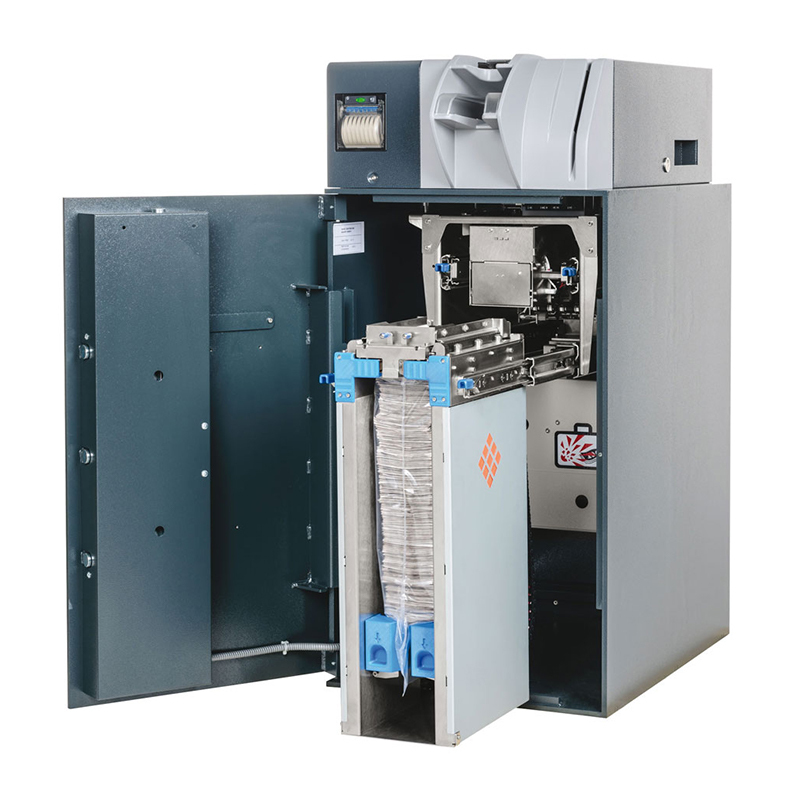 The SDM504S is the perfect combination between a TCR and a deposit unit. 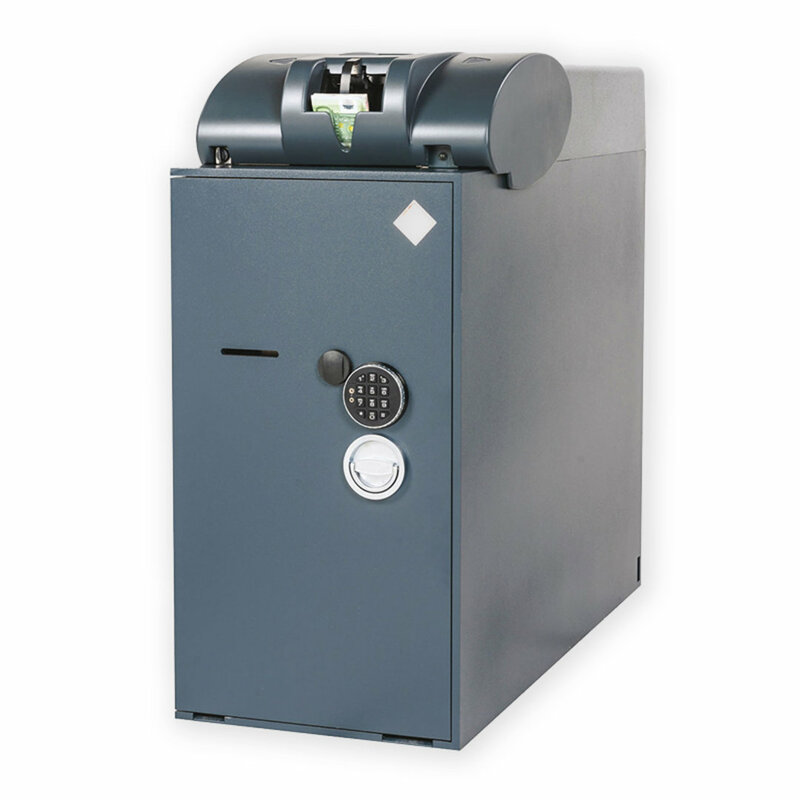 The escrow function allows to retrieve deposited notes stored in the four 300-notes recycling drums. 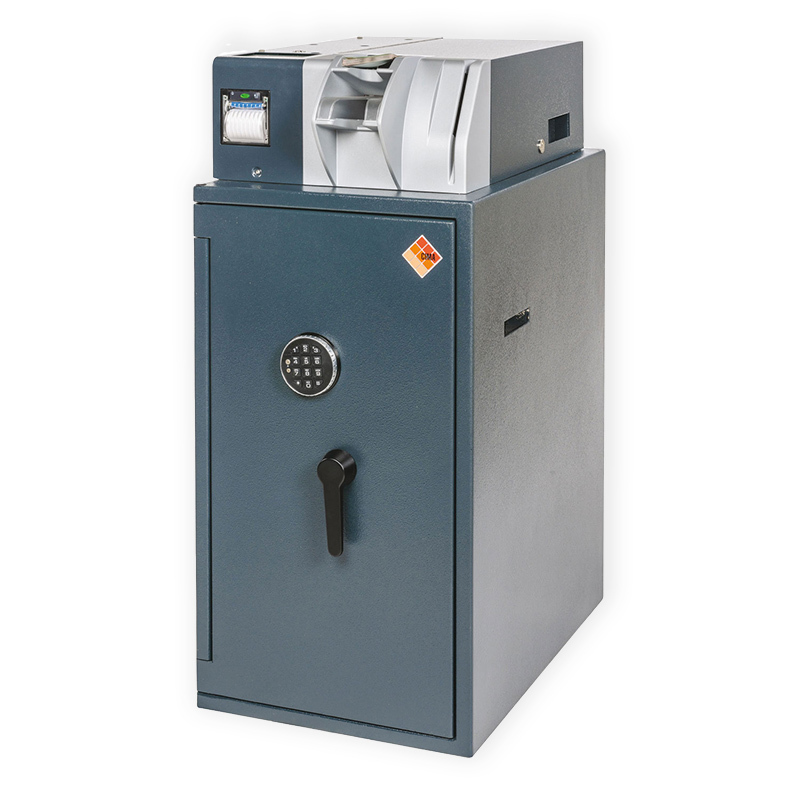 Notes can also be deposited directly into the heat sealing bag within a safe, ready for pick up and banking. A Colour Touch screen TFT 5.7’’ guides the user and alerts when full, while a 58 mm thermal printer produces receipts at the end of each transaction. Deposit speed: up to 6 notes/sec, wthdrawal speed: up to 5 notes/sec. 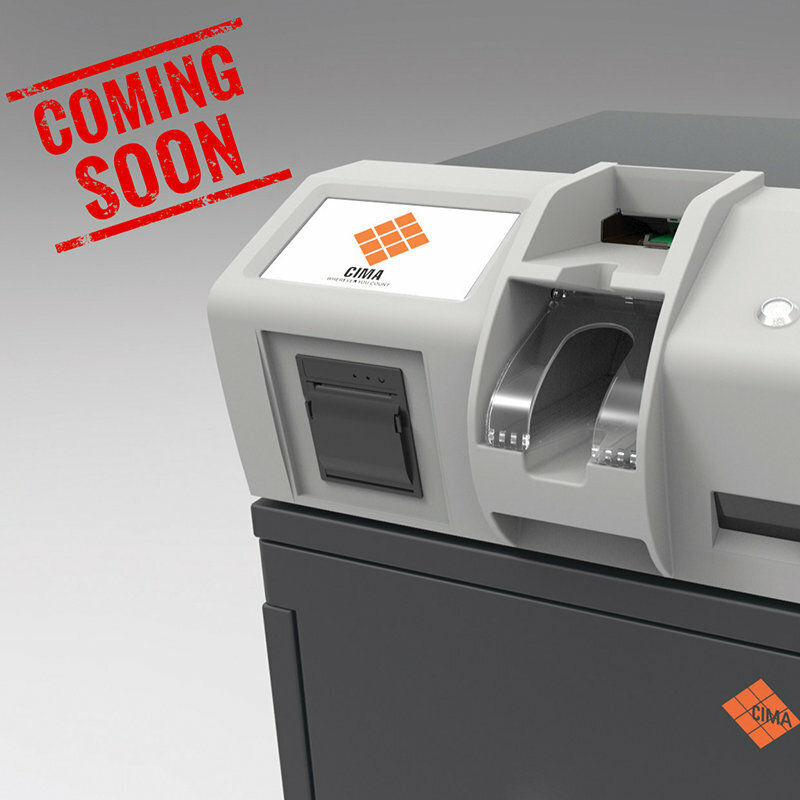 BV5000 bill validator: a full-image sensor, ECB certified, which combines the latest technologies on the market, offering improved functionalities and an input speed of up to 6 banknotes/sec; ideal to manage medium cash volumes. Escrow function: deposited notes will be stored into a recycling drum, and can be called back by the user, in case of uncertainty on what has been deposited. 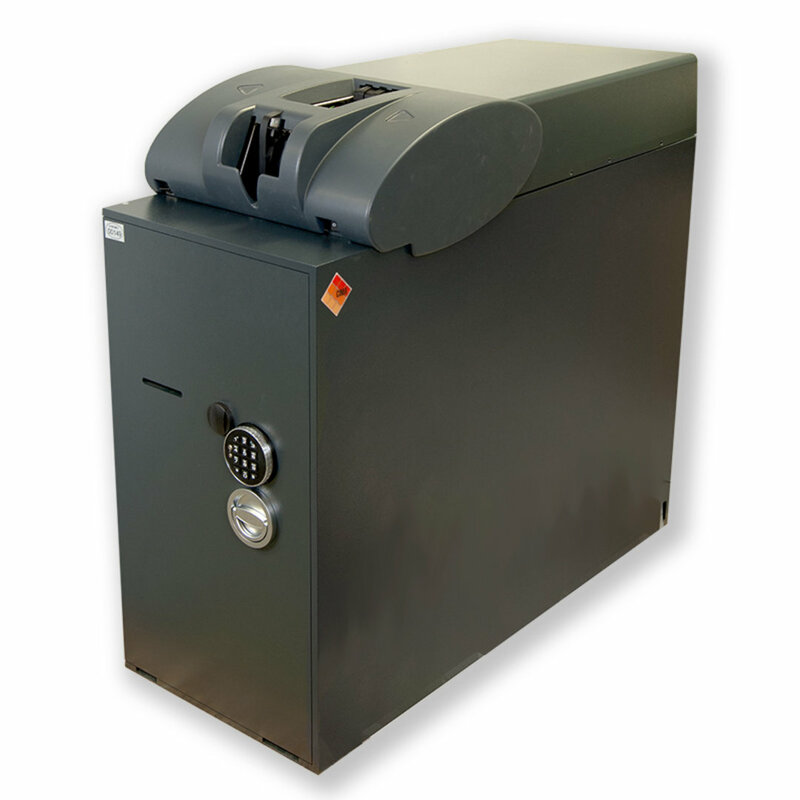 Notes can also be deposited directly into the bag inside the safe. Four recycling drums: with a capacity up to 300 notes each, for a total recycling capacity of 1,200 notes. 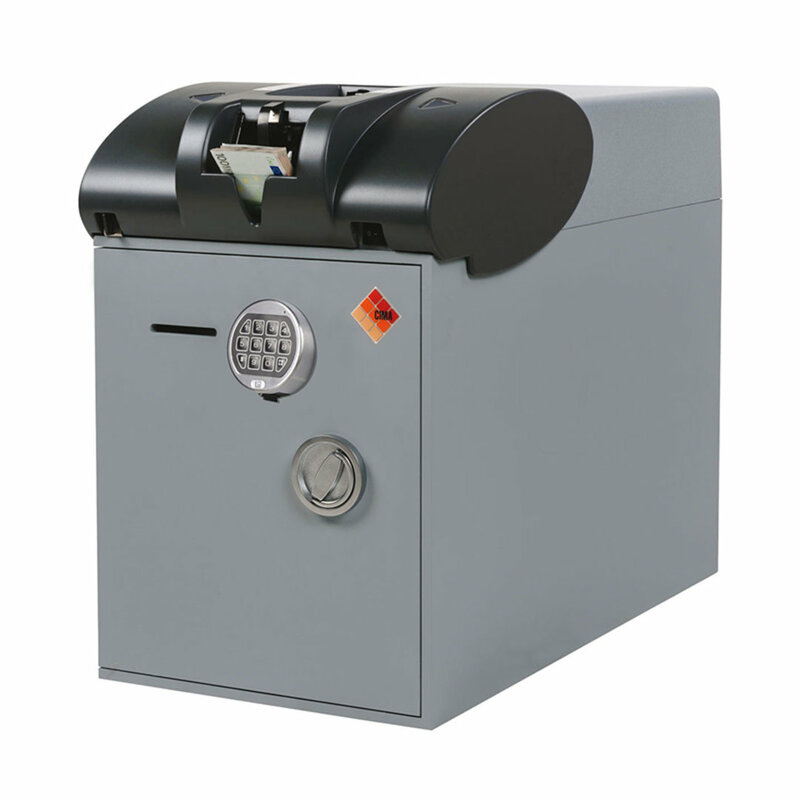 Disposable heat-sealing bag: contains up to 3000 notes and releases the safe’s opening once the bag is sealed, thereby allowing a ‘closed circuit’ between the machine and the CIT centre, backed up by the receipt provided by the machine. Connectivity to C-Link platform and RS232 serial port, USB, Ethernet ports.